Dance Classes, Lessons, Events & Courses for No Name Jive. 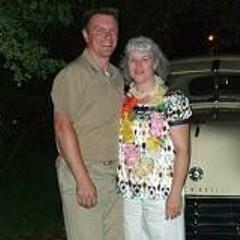 1940's-50's Jitterbug, East Coast Swing, Jive and Stroller classes held weekly. 10 week Beginner's courses run on a 'rolling basis' taught by teachers with over 20 years experience between them, followed by improver classes. Regular workshops held in Balboa,Shag and some ballroom to help ease our dancers into the 1940's dance scene. Our fun classes are light-hearted with lots of laughter and patience! We are spreading the Gospel according to the 1940's: glamour, excitement and joie de vivre! Event Organiser, Private Coaching, Instructor Training, Regular Dance Classes, Instructor for Hire, Shows and Concerts, Theatre, Dance Company, Demonstrations / Cabaret, Performances, Corporate Entertainment, Workshops. Dance Styles: Rock 'n' Roll, East Coast Swing, Foxtrot, Jive (50s & American), Jitterbug, Swing Dance, Boogie Woogie, Jive, Balboa. All Entries for Aperfield W.I Hall Venue. Car Parking. Stage. The Sugar-Candy Club night at Aperfield W.I.Hall can be found just off of The Main Road in Lebanon Gardens in Biggin Hill. The Hall was built in approx 1910 with a lovely wooden dance floor.Comp. tea/coffee and squash served. Good public transport links. East Coast Swing, Jive (50s & American), Jitterbug, Swing, Jive Instruction at Complete Novice to Beginner level, Practice at Complete Novice to Beginner level. For further details: Info. Extend your repertoire of moves with our improvers classes. Build up your confidence in your own time.Relaxed and frothy atmosphere in which to learn and practice. East Coast Swing, Jive (50s & American), Jitterbug, Swing, Jive Instruction at Intermediate level, Practice at Intermediate level. For further details: Info. East Coast Swing, Jive (50s & American), Jitterbug, Swing, Jive Instruction, Practice at Complete Novice level, Social Dancing. For further details: Info. All Entries for Cornwall Hall Venue. Stage. Flattop Boogie's at Sevenoaks! Large church hall with fab wooden flooring. Lots of FREE parking in church car park or on street.We serve complimentary soft drinks.Close to public transport links. East Coast Swing, Jive (50s & American), Jitterbug, Swing, Jive Instruction at Complete Novice to Beginner level, Practice at Complete Novice to Beginner level. For further details: Info. All Entries for Royal British Legion Venue. The Royal British Legion can be found 7 mins from Junction 6/M25 with FREE car parking only a minute away.The Swing Joint is on the first floor and has a huge wooden dance floor and large bar with comfortable sociable seating.